Violence rocks one of the nation’s largest airports as a gunman opens fire, killing at least one person, injuring several others, and sending terrified passengers running for cover. 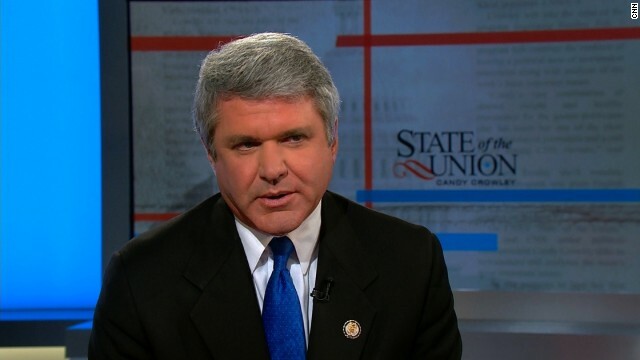 Congressman Michael McCaul – Chairman of House Homeland Committee – is our exclusive guest to discuss the latest on the investigation. Senator Kelly Ayotte joins us exclusively. Will she unite with her colleagues and threaten to block Obama administration nominees until survivors of the Benghazi attack testify before Congress? Plus, we’ll examine the reason behind President Obama’s low poll numbers. Is it his policies, his disengagement, or a result of divided government? Blanche Lincoln lost her Senate seat in 2010 because of her support for the President. Will others find the same fate? Lincoln joins our panel with CNN Crossfire Host Newt Gingrich, former Kathleen Sebelius adviser Neera Tanden, and Obama biographer David Maraniss. Sunday 9am and Noon Eastern.